The word "couture" is bandied about a lot these days, mostly by vintage sellers who hope to up the ante by invoking the word. It tends to be used interchangeably with "really well made" or "special," but couture actually does have an actual definition. Haute couture was originally founded in 1868, in France of course, by the Chambre Syndicale de la Couture Parisienne. Let that name just roll around on your tongue for a while, because it sounds almost as fabulous, when said with a French accent, as what it signifies. These people were a force to contend with, because there were very strict guidelines as to who did and did not do couture, and the memberships were reviewed every year. Couture was created to create the French economy, because so much of their livelihood depended upon these lovely garments. Couture brought the French a LOT of money. the designers had to have a "suitable" presence in Paris. They didn't want a Walmart couture house -- these places were special, and if you aren't in Paris, you couldn't be considered haute couture. If you were in Paris, your place would have to be high end, and reflect your own personality - tasteful but expensive! 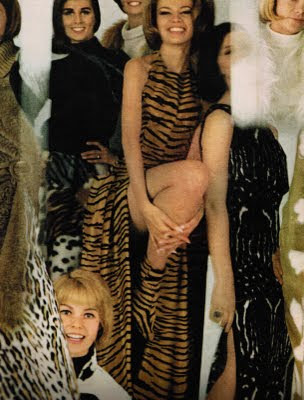 collections were shown twice a year, and had to have 75 designs, by either the designer or his assistants. Think about that. 75 designs. That's a lot of work! These designs are usually, to a large degree, hand sewn, hand beaded, perhaps hand embroidered, and can take weeks to create. Makes my fingers sore just thinking of it! collections were shown in spring and fall, on dates that the Chambre Syndicale chose. This was the beginning of the concept of Fashion Week, which is still observed today. This helped to keep one designer from "borrowing" from another, and kept shady people from knocking off the designs. couture designs are not off the rack! They are made to measure, and the CS required at least three fittings of each garment. Fittings might be coordinated by a vendeuse (saleswoman), or perhaps by the designer himself. The end result was a garment that fit like a glove. A couture garment, in the end, is only 2-3% machine sewn. The remaining 97-98% is all hand rendered, including beading and embroidery. These are just a few of the regulations that the CS imposed upon the designers. The textile sellers also had regulations. If their product was put on hold by one designer, regulations said that that product could not be shown to another designer, meaning that sometimes whole lines went to waste, waiting for someone to decide whether or not to use them. The same was true for the embroidery houses. Showing of collections was tightly regulated, and attendance was by invitation only. Those who had the ill judgement to try to sketch a dress or worse, photograph a dress, would be escorted out. Garments were shown, then made available for photographs and sketch artists, but no photos or illustrations were released until several weeks after the collections were shown. The release date was set by the Chambre Syndicale about 30 days after the openings. Couture houses also had daily shows in the afternoons, which could be attended by private customers, by invitation only. After the show, customers were given the opportunity to view garments close up or by trying them on, all in the comfort of the designer's actual salon. Talk about service! 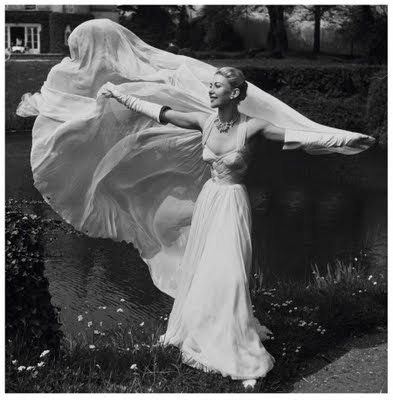 Keep in mind that haute couture garments were not necessarily made with the idea of someone actually wearing them. Some were made as concept garments, and others were made simply to draw attention (and income) to the house, so it was not unusual to see over the top designs. Couture houses employed dozens or, in the case of Dior, hundreds of employees, each of whom had a specific job: sewing a seam, beading, embroidery, fitting, etc. It could take years to work up through the ranks if you wanted a promotion. Today, women have gotten away from wearing couture, as it is wildly expensive, and most of us could not afford it. This doesn't mean that you can't wear designer fashion -- it merely means that what you wear isn't haute couture. For that, you would have to fly to Paris at least three times to be fitted, but you would have a special garment indeed. Ten years before the Endangered Species Act, fake fur was already coming to the forefront. 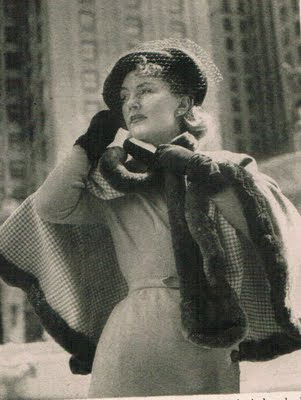 Whether or not you agree with the concept of wearing fur (I personally don't, and wouldn't, but to each his own), I do find the vintage fur fashions interesting. The lady in profile wears a civet cat shift. The Eskimo lady at the far right wears a "dirty polar bear" parka from North Bay - $75. While I have to say that combining a tiger stripe bathing suit with a matching skirt is a bit much, either one on their own, with a black swimsuit or skirt would be fabulous. And civet cat? I'd never actually heard of this one till now, but wow, is it a fabulous dress from a very odd looking animal. So, fur or no fur, it's interesting to look at, and I learned something along the way too. 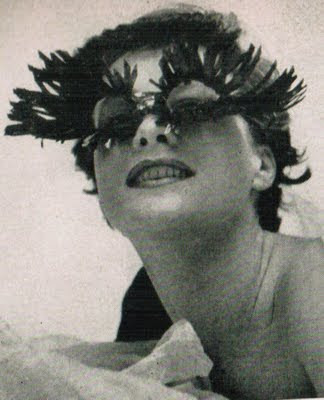 Just to show that yes, Ms. Schiaparelli's beach tent dressing booth on a stick was not a fluke, check out these fabulous sunglasses from 1951's collection, complete with long blue eyelashes. Vegas, or drag queen? You decide. "A once in a lifetime negligee, one of those things you don't wear commonly, but love to own and take on visits to impress your hostess. It should be made of velvet in a rich shade, or of honey coloured crepe, like that charming one, that we shall never forget, worn by Sally Bates, in Bye Bye Again (stage version, not movie). Except for these sleeves, which are nicer, this is very like that perfectly delicious yellow negligee." I would so make this in wine colored silk velvet. Or a deep green. I wouldn't wear it on a romantic evening though -- one might strangle oneself trying to get out of it, bringing an entirely new meaning of "to die for." This is a "practice removing it gracefully" garment. Stunning! We live in a historical area of Indianapolis. I just read in the paper today that they plan to have a neighborhood pageant this fall, and crown the first Miss Irvington Halloween Festival. 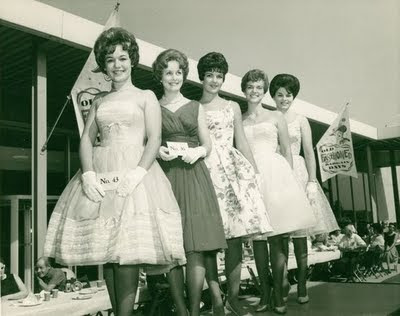 Apparently, some years ago there was a pageant to crown Miss Eastgate. Eastgate was a mall nearby that was a hub of activity, back in the day. It's since closed, and is considered by most to be a hugely overlooked gem, real estate wise. Perhaps someday someone will reopen it, but meantime, the only place Miss Eastgate exists is in memories, and in photos like this one. Sadly, no one knows who these girls are, or even from what year the photo was, though they are calling it 1962 (and are likely right). Miss Eastgate candidates each represented a store in the area, like Wasson's and the like, which I think is adorable. I would have worn the second candidate's dress, in blue, with matching pumps, and gloves with tiny cutouts around the wrist. I love the first dress too, but what color do you think it was? I keep seeing pink, but that might be too sweet (even though I love pink). I think it would be adorable in yellow, but most people can't carry off yellow that well. I'm not raving about her gloves though, as they look a bit ill fitting, and too heavy for the lightness of the dress' fabric. I would've worn mesh gloves, but maybe that's just me. In either event, Miss Irvington Halloween Festival has an interesting twist: each girl has to design and wear her own Halloween costume. That's pretty tricky -- do you go for Malibu Barbie, or go goth and go home? Interesting. There's a $500 scholarship on the line, so I'd put some thought into it. What would you wear? It's funny, the things we grow attached to, in the course of our lifetime. When I was five, I was really attached to my tricycle. I still have, on the highest shelf of my closet, the acrylic 80s sweater that I wore the night I met my husband. I'll never get rid of it. I get pretty attached to some of my patterns too. At one point, if you'd looked at my desk, you would've seen a beautiful 50s ball gown pattern, way too small to ever fit me, but so beautiful that I just propped it up on my desk, as some kind of mascot. It was a beautiful thing to behold. The illustration showed the dress in blue, which normally isn't my favorite color, but was perfect for this particular gown. I've had several pieces like that. I had a mauve 40s bridesmaid gown that I hated to part with: the dusty rose color reminded me of a wedding where I'd been a bridesmaid when I was twenty or so, and the bodice reminded me of my own wedding gown. The pleated tulle skirt was reminiscent of my mom's dress. I felt really happy when I saw it, but alas, it had to find a home somewhere else, so off to the UK it went. This dress is my current love. 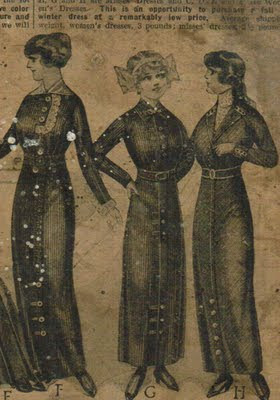 I love the Titanic era fashions, so when I look at this pattern, I just sigh, and dream of it in ivory. I would, of course, wear a fabulous hat, as well as a string of garnets around my neck, and a small silk bag hanging from my wrist. I might even have a small parasol. ::sigh:: You might think I take it too far, but it's my little transport to Happyland. What's yours? I emailed a local columnist a few weeks ago. She writes an antiques and collectibles column for the Indianapolis Star. 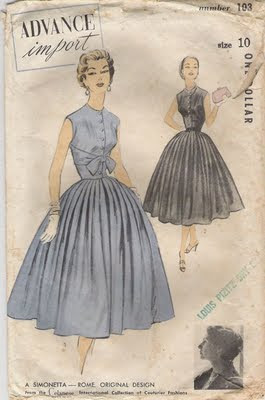 I asked her if she would write a column about vintage sewing patterns, so that we could hopefully help preserve some of these little treasures. Nothing irks me more than hearing of patterns being thrown in the trash! She wrote a lovely column that you can read here, complete with an interview from yours truly. Enjoy! Once upon a time, there was a dutchess named Simonetta. This dutchess was proud of her Italian heritage, and also loved to design clothing. Beautiful clothing like sportswear, formals and ball gowns, with a special emphasis on showing off the curves of the bustline. Kind of like this dress. Fabulous, yes? Sadly, it's sold, but hopefully to someone who appreciates 1) the beautiful lines and 2) the fact that Advance Import patterns are darned hard to come by! Being a dutchess meant that she had some baubles to show off when she went out for the evening. 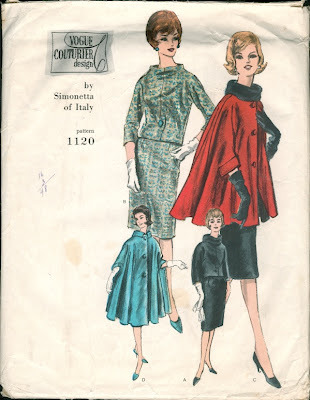 Hence, Simonetta had a love of the bracelet length sleeve, which was perfect for showing off her bling AND her gloves. Gotta say, this coat is nothing short of fabulous too, so Simonetta had wonderful taste, IMO. Then one day, Simonetta went and got married. OK, truth be told, it was her second wedding, but the great thing about it was the fact that she married Alberto Fabiani, who also happened to be a fantastic Italian designer. These two were responsible for two things: 1) bringing Italy to the top of the game, fashion-wise and 2) they were probably at least partly responsible for the fact that Italy won't let you ship "haberdashery" there, for fear of polluting the purity of Italian design. 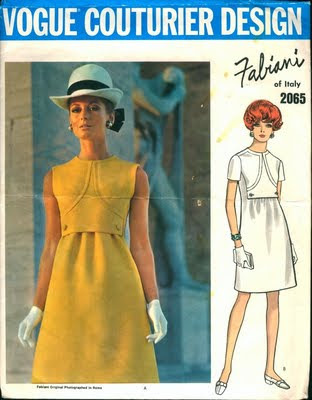 And honestly, how much more pure could this Fabiani design be? Some called his designs pieces of architecture, and it's for good reason. His pieces looked deceptively simple, but when you look underneath, they were the fashion wonders of the world. What do you think these two discussed over breakfast? Think about it. Though they had very different approaches, they could've potentially discussed what they were working on, but would they? Was there a "no work talk" rule? Did they discuss it, argue over it, dream about it together? Did one ever tell the other that their design was a bad one? 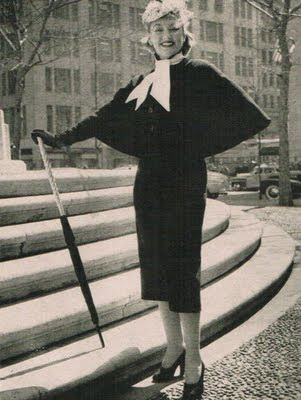 Jacques Fath was one amazing man. Completely self taught, he was part of the triumvarate of fashion in the 1940s-1950s, which also include Pierre Balmain and Christian Dior. His wife, Genevieve, was his muse, and had once been a secretary for Coco Chanel. He later counted as his assistants both Hubert Givenchy and Guy Laroche. He was literally one degree of separation from some of the greatest fashion of the time. He loved to show off a woman's figure by accentuating curves, and by adding non-functional accents that were constructed of natural materials like hemp, seashells and walnuts. An amazing mind that somehow found its passion, and brought it to life with no formal training, eventually dressing such women as Greta Garbo and Rita Hayworth. I'm truly in awe. Sadly, the genius died young, being diagnosed with leukemia a mere four years after these photos were taken. He died three years later -- a tragic loss for those of us who would've loved to see what he could create, had he lived past the age of 42. 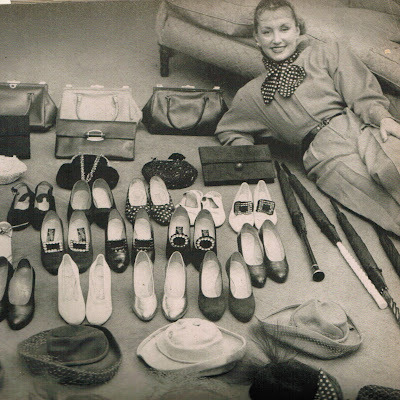 Mrs Jacques Fath travelled the US with a $12, 000 wardrobe -- almost $116.000 in today's currency -- all created by her husband, the legendary Jacques Fath. 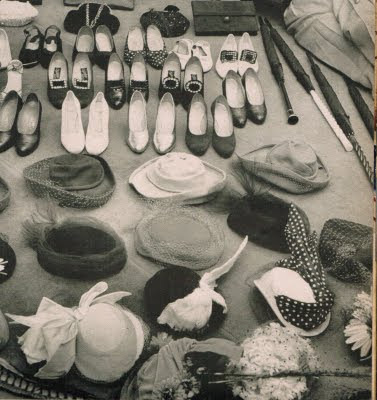 This included 17 hats, 16 pairs of shoes, 10 handbags, four umbrellas, and other accessories, not including 12 trunks full of suits and dresses. Mr. Fath reported that American women don't show off their figures enough, and that their sk irts were too long. Imagine what he'd say about us now! "This blue wool dress has a matching cape lined with checked wool, edged with nutria. 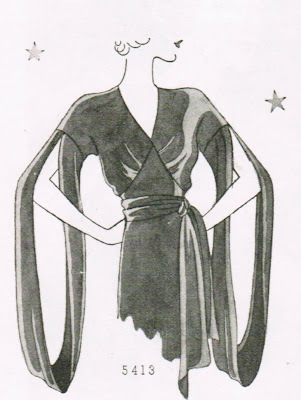 Genevieve prefers furs or separate capes like this to a bulky coat." Black wool cape dress has a calf length, slim skirt which is Fath's rule for street wear. Severe lines are relieved by a pique scarf and flowered hat. Life Magazine, April 19, 1948. I love hats, and have been fortunate enough to own two Dior Chapeaux, over the course of time. Mine were earlier -- 1961 or 1962 turbans -- but these ones from 1967 are interesting as well. I must say that I thought at first that the model's parasol was a part of the hat, making it a kitschy living thing. Fortunately, not so, because I can't fathom the house of Dior going to that extreme. Love the makeup on the models, and they didn't go to a lot of fussery in getting the set done up -- it almost looks like they just walked out the door, found somewhere the lighting was good, and started shooting. I just wish it was in color! I love the early 1900s fashions. When else could you find something as fabulous as these lovelies, and only pay $1.09 for it? 1912 was most famous for the sinking of the Titanic. 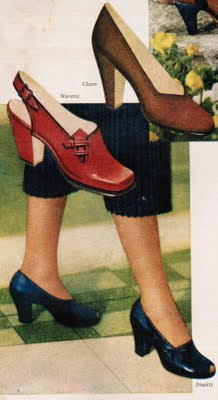 Look at these beautiful styles, straight out of the Sears Catalog of that year. 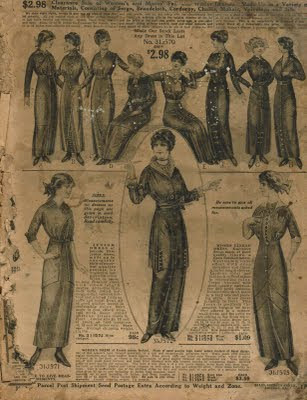 This montage of beauties is from a 1902 Sears catalog, and gives a great overview of the style that had now started to evolve from the full floor length styles, but hadn't made it to above the ankle yet. 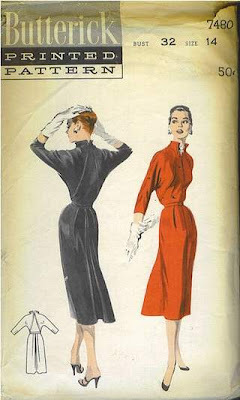 The waist was still set at the natural waist, so the look is more feminine that what you'd see over the next ten years, when Coco Chanel changed the style to loose and sacklike chemises that were shorter. 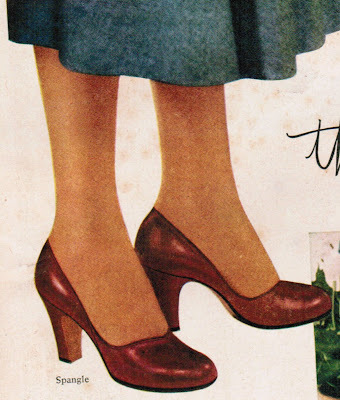 My wide feet wouldn't have tolerated the pointed toe shoes, but I can imagine how sturdy they were, since most people didn't own many pairs of shoes, and most people, only one. Colors listed are blue, tan, navy blue, blue stripes, black and brown, indicating the narrow range of dyes available at the time. These colors would also hide stains well, since no one had their Tide stain stick yet! I don't think I could tolerate those just-below-the-elbow sleeves though -- it'd drive me crazy when I tried to bend my arms. 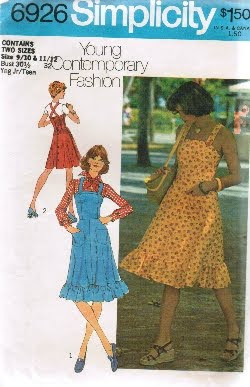 I'd make the longer length sleeve, but probably on the dress on the left, which is my favorite. Sticking to the colorway of the day, I'd make it in blue percale. I'm not quite sure what the girl at the top, second from the right, has on her head. Help me out here. What kind of headpiece is this? 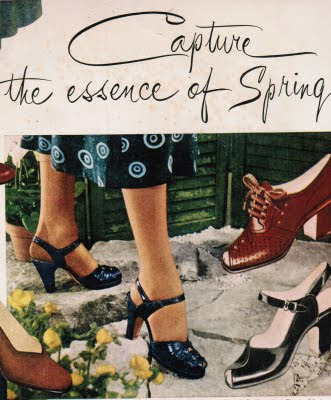 from 1951 -- Vitality shoes. Dignity: Rich, soft as butter calf, for tailored flattering. Spangle: Lush and lovely companion to your tweeds.